Genset | Vital Tech Engineering & Services Pvt Ltd.
We are engaged in the business of providing Generator maintenance services in order to ensure complete, effective and continuous operation of the generator sets installed at sites in accordance with the requirements of the client. 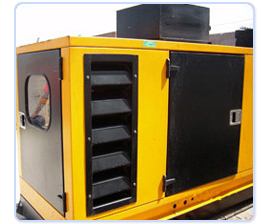 We assure to our client that we have the requisite experience and expertise with respect to provision of the generator maintenance services.Vital Tech Engineering understands however that the objective of the services is to ensure round the clock smooth, trouble free complete, effective and continuous operation of the equipment installed at sites in accordance with requirements of our client. To achieve this objective we have the requisite experience, resources, manpower, expertise and above all a good network with respect to provision of the services. On Weekly/monthly basis we submit copies of reports on approved format with respect to preventive and corrective / breakdown maintenance works. A file is maintained for each communication tower (site) to record every service/visit activity with date and time. This activity is performed each time, a PM team visits a site. Further, we maintain a regular service schedule, which will include servicing of units and comprehensive inspection and maintenance/replacement of parts as per requirements. We provide three visits for Prime sites and one visit for Stand-by sites per month for preventive maintenance. 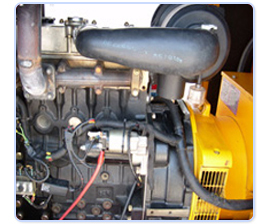 Prime sites are those sites where generator sets are primarily working where as Stand-by sites are those where generator sets provide power upon failure of WAPDA supply. The MSC, BSC and Hub sites are visited at least twice a month. Independent department has been developed for this activity. Different teams have been developed in Central Punjab and North. For this purpose three workshops are working in Lahore, Rawalpindi and Peshawar. Genuine parts are being installed in overhauled engines.